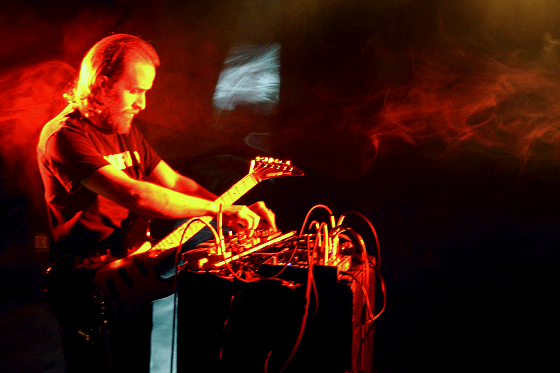 Here is a mix from Nadja member and Toronto expat Aidan Baker. Now living and working out of Berlin, Baker made this mix for the Self-Titled Daily website last autumn. Autumns are busy; I was on the road in October for three weeks doing a solo tour with Noveller and later this week, Leah and I head out for a two week Nadja tour to promote our new record, Dagdrøm, which we are releasing on our own label, Broken Spine Productions (with some kind assistance from Badabing Records, Dekor Labor, and Bis Auf’s Messer). These last few months I’ve been busy rehearsing, mixing and mastering new material, assembling record sleeves, packaging up mailorders, installing art exhibitions, trying to find the time to see other people play shows and, of course, playing my own shows. Nadja has a new album out too that just got a good review in Pitchfork.